Scott is a visionary technologist who has always worked at the forefront of the computer industry. From his start he was wiring up TTL chips, wire-wrapping prototype boards, and writing assembly code. Prior to the explosion of the Internet Scott worked with early Local Area Network technologies and then progressed “up the stack” and moved into large scale Corporate networks while working for Novell, and then into Internet applications and services. 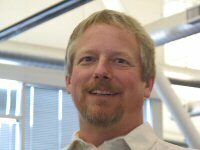 Before the Wifi standards were finalized, Scott was developing applications for wireless networking, and co-founded a wireless internet company in the late 1990’s. At this same time, and into the early 2000’s, he was doing research into wearable computers and head-mounted displays. Over the last decade and a half he has been operating his mercenary contract development company HumanXtensions creating Business Process Automation solutions for a broad range of clients. Scott is an accomplished programmer and systems architect, and has worked as CTO at numerous start-up companies assisting them in creating powerful technology platforms. In 2010, with the evolution and advancements in micro-controllers, and semiconductor technologies Scott started to experiment again in the lower level hardware world. Since 2013 Scott has been working on Wovyn, a set of technologies designed to revolutionize the Internet of Things by bringing proven patterns of connectivity to the sensors, control systems, and enterprise applications. When Scott is not working with technology … well, that would be never. But he brings technology everywhere he goes – hiking, skiing, camping, biking, and even out in the wilderness on his 1988 BMW R100GS motorcycle. He loves to travel the world, and contribute to entrepreneurs everywhere. John got his feet wet in technology by designing a large automated configuration center for IBM Eduquest in the mid-90’s after a early career as a zookeeper. After building out one of Novell’s largest networks for a insurance company in State Farm, he fled the icy midwest winters back to Florida where he helped Novell’s largest customers incorporate technology into their business. In the infancy of wireless networking, John helped build the largest 802.11 based network at Brainshare in 1998 and went on to create a company providing wireless infrastructure to cafe’s, apartments, and homes in the Utah valley area. 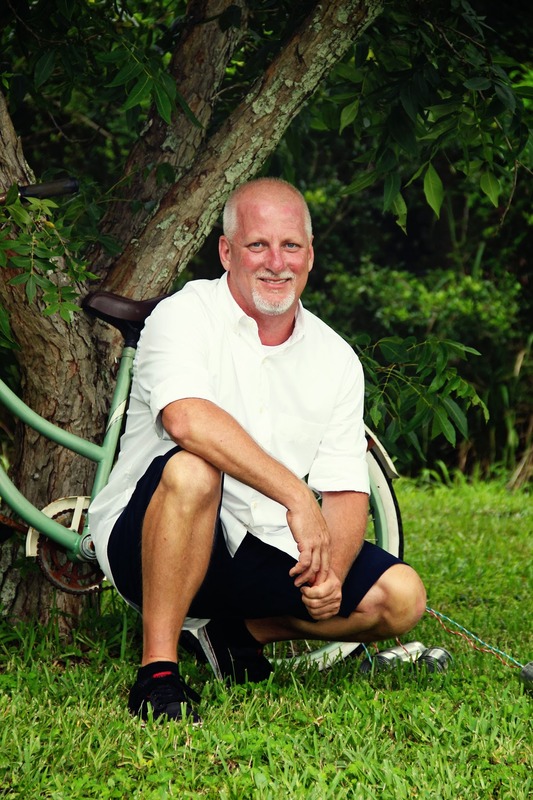 John fled the cold again to Florida where he founded Banal Technologies, LLC to help small and mid-size companies incorporate open source software into their everyday business. In addition to being an avid pilot and gadget connoisseur, John is on the board of directors for Quest For Stars a 501(c)(3) organization aimed at introducing STEM technology to students through the use of low cost balloons for research and exploration to the edge of space. Kim Curran Craig is a recognized marketing innovator in the field of IT Technology, bringing over 20 years of experience to the Company. Kim has a proven track record of delivering results in managing global teams and developing and executing business and marketing strategies, global campaigns, product development, acquisition management, branding, business development, analyst relations, press relations and operations. Prior to joining Wovyn, Kim worked in various other senior roles at companies like Novell, Technology Innovators, and New Horizons Learning Center. Kim served 9 years at Novell where she was responsible for driving sales through successful product launches, global marketing campaigns, and targeted events. She brought the Novell ZENworks product line of system management products to market and was also involved with the Identity and Security Management products as well as bringing SUSE Linux Desktop to market. Kim has demonstrated expertise In bringing teams together through many acquisitions, such as Novell’s acquisition of SUSE Linux, PlateSpin, Callisto, Tally Systems, Sensforce Technology to name a few. Kim is an entrepreneur in spirit. She was a co-founder and CMO for Whiteman Technology, a smart hub company and was a co-founder and VP of Operations at Synapsis Solutions, a privately held provider of education and consulting services that provided customized computer software training to high tech companies. Clients included IBM, Tandem, Autodesk, Cisco, Sun Microsystems, Compaq, Apple, PeopleSoft, and several other companies. Kim developed her own business providing IT Marketing Consulting for SMBs to Fortune 1000 Companies and in her spare time she is a rock climber and Book Editor to new and published writers. Kim received a B.A. from California State University, Chico. Kim is certified in Pragmatic Marketing and ITIL.